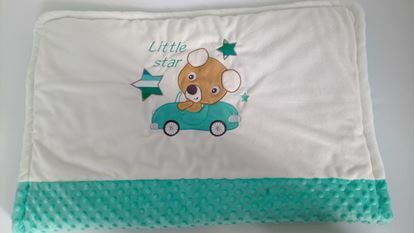 Warm minky blanket with 200g/m2 filling. 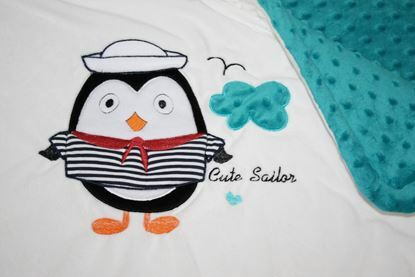 It is made from finest minky fabric with Oeko Tex Standard 100. Filling is 50% cotton and 50% polyester. 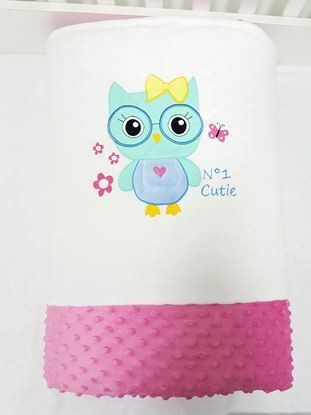 It is very warm and soft, suitable for sensitive baby skin. Available in many different embroidered motifs. Size: 100x80cm or 120x100cm.